Restaurant: Breakfast is served from 7.45 a.m. to 10.00 a.m. Lunch from 12.30 p.m. to 1.30 p.m. Dinner from 7.30 p.m to 8.30 p.m. 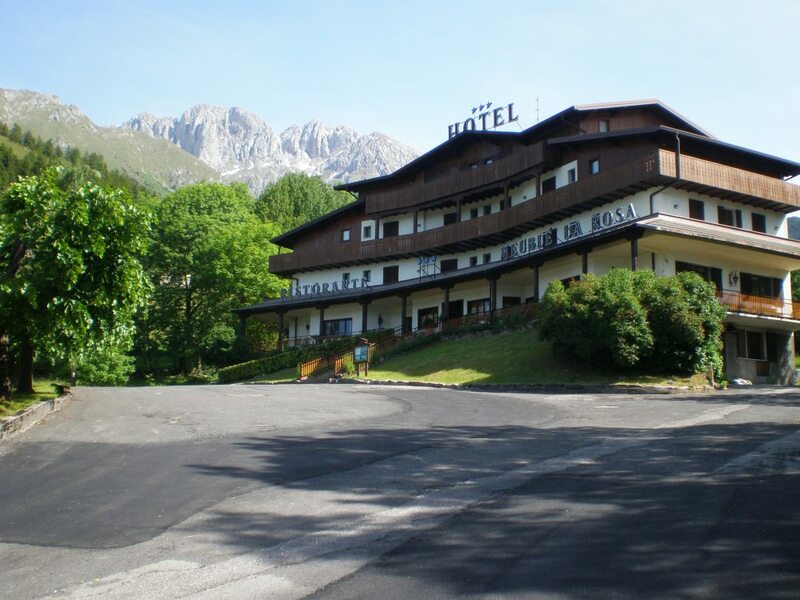 Parking: Our hotel is provided with a big car park area for guests (2.000 squared metres). Bar: Our bar service, for guests only, is open daily from 8.00 a.m. to 12.00 p.m.
TV: Led TV in all rooms. Phone: Phone in all rooms. Internet: Internet connection with free Wi-Fi in all rooms and in common area. Payment: Main credit cards accepted. Minibus: Our hotel offers a minibus service to Castione town centre, accordingly to a daily timetable. Lift: Lift service to all floors. Laundry: Laundry service provided on reward.